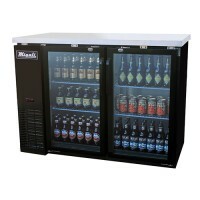 Facility and maintenance keeps everything running smoothly and safely behind the scenes of any job. To keep in control of crowds and lines, Crowd Ropes and Line Dividers come in handy without needing to yell and hope for the best. Get people's attention with a Megaphone as you stand up on a Stage with Guard Rails and the crowd looks on from Risers. 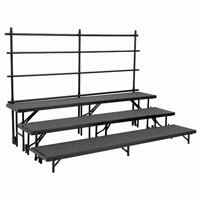 After a show or a hard day's work, you'll need to move seating and panels and risers around. Hand Trucks, Dollies, and Panel Movers make it easier to move around bulky items. Use a Chair Lift or Table Lift to put tables and chairs onto their Chair Storage Carts and table storage. When deciding what to lift and where to store it, weigh items on a Crane Scale or Large Floor Scale. Your back will thank you for it. Protection is important because every job should be safe. Protect your knees with Knee Pads. 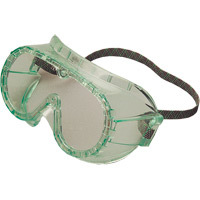 Protect your eyes by wearing Safety Goggles and Safety Glasses. Protect your hearing by covering your ears with Headsets or wearing Ear Plugs. Keep your head safe with Hard Hats for construction areas. Ease your mind by protecting your brain. In case of an accident, keep a First Aid Kit handy and some rubber gloves in a wall mounted Glove Box Holder nearby. Fire Blankets and Face Masks protect from injury and illness if anything goes wrong. Don't gamble with safety. Be prepared! ADA Signs, Facility Signs, Sign Holders, and Road Chalk make boundaries and instructions clear and visible in every medium. 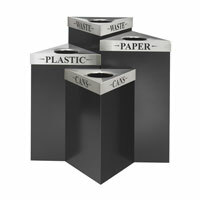 Recycling Bins, Trash Cans, and Cigarette Disposal Bins keep everything neat and make it clear where people should dispose of any trash. Prepare for all the behind-the-scenes work and make sure everything runs smoothly for any event or job!